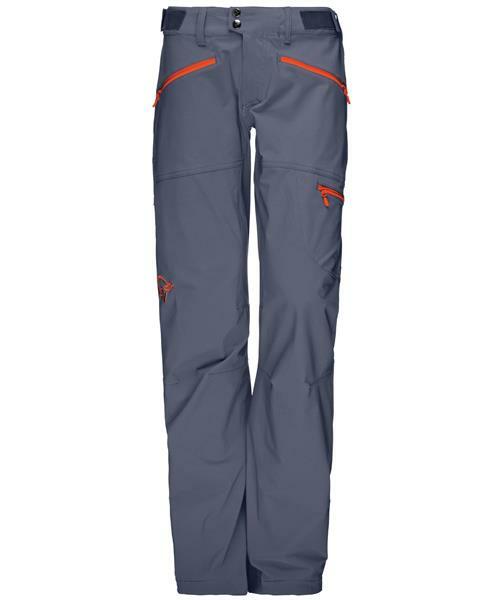 The falketind flex1 Pants are Norrona's lightest soft shell pants developed for light weight mountaineering and general outdoor activities all seasons. With a tighter fit and thinner fabric than the other soft shell pants in their assortiment, they have become a favorite amongst both customers and ambassadors who seek light weight yet long lasting products. The pants are soft and flexible with a surface providing wind-resistance and great water repellency. Combined with excellent breathability, they are perfect all-year pants for the outdoor enthusiast who seeks high intensity adventures. The Custom-fit waist system™ ensures optimal adjustment and the snap thightning around the ankles makes it easy to get a slimmer fit. Falketind Flex1 Pants - Womens is rated 5.0 out of 5 by 2. Rated 5 out of 5 by Jackie2727 from Look great, so comfortable I bought these pants for backpacking trips and for the west coast trail this summer. I’ve actually been wearing them often since it snowed (with a smart wool base layer) and they are awesome. Resist water in the rain and snow and they are so stretchy and comfortable. They’ve kept me warm (because of the base layer though- they’re not insulated at all). I’m 5ft 1” 115 lbs and wear size 26/30 pants. The small fits great, waist has a Velcro adjustment if needed and the material stretches quite a bit making for a slim looking fit but still being very easy to bend and move in. They are a little long (roll them up once when in the house) but with my hiking boots it’s fine. I Haven’t done any warm weather hiking in them yet but they are very thin and light so I expect they will be great for hot days as well. Rated 5 out of 5 by Louise from Perfect fit! These pants were pricey but the fit was far superior to anything else that I tried on. I’ve had them for a month now and love them. Great quality!